۷۹ percent of Iranian users of messaging app @Telegram are yet using the app even after it has been blocked in #Iran, showed a recent nationwide poll by ISPA. Acc. 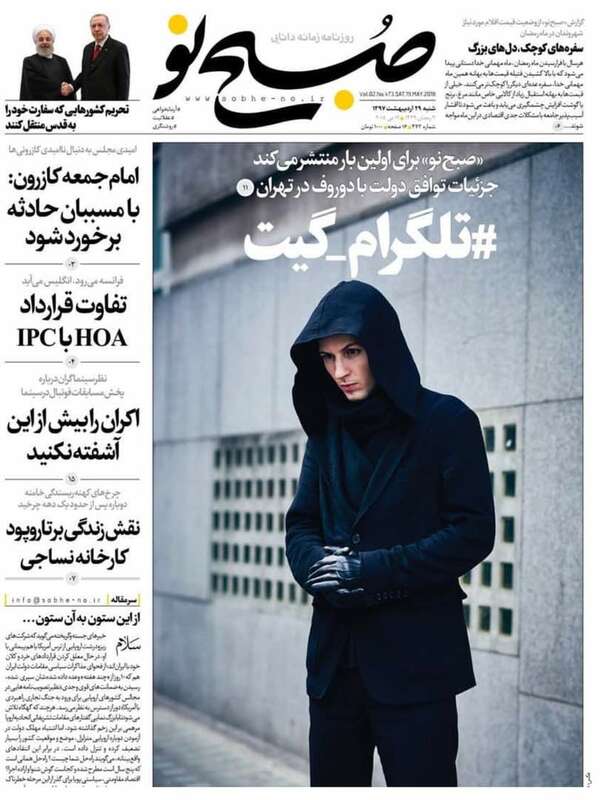 to report by Iranian conservative daily Sobh-e No, @Telegram CEO @durov has met with Iranian official/s from Rouhani's gov IN TEHRAN Sobh-e No headline reads #TelegramGate, claiming scandalous revelations about @durov, Iranian gov agreement @durov Have you visited Tehran? 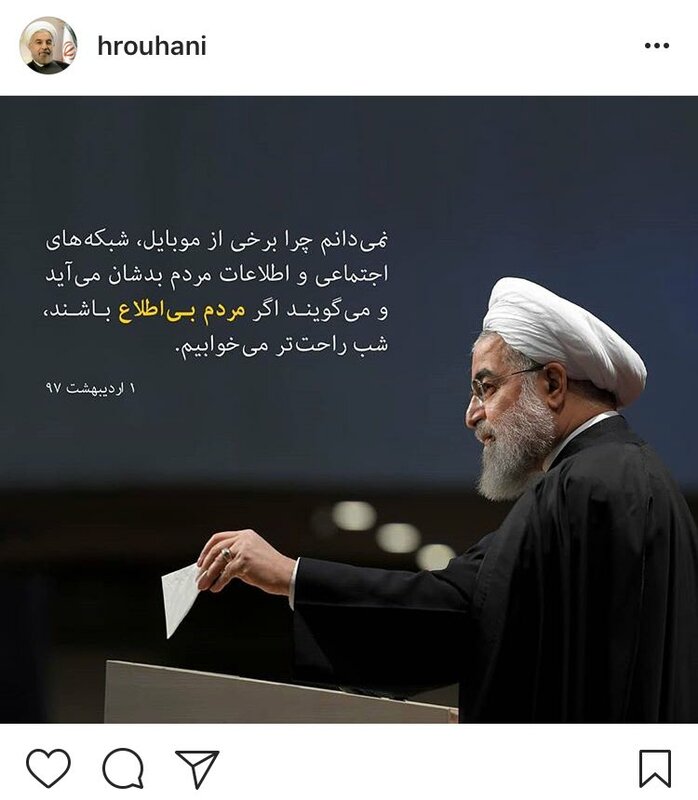 #Iran’s president @HassanRouhani, in an instagram post, has criticized blocking the messaging app @Telegram in the country & has said that the blocking has neither been executed nor approved by his administration. 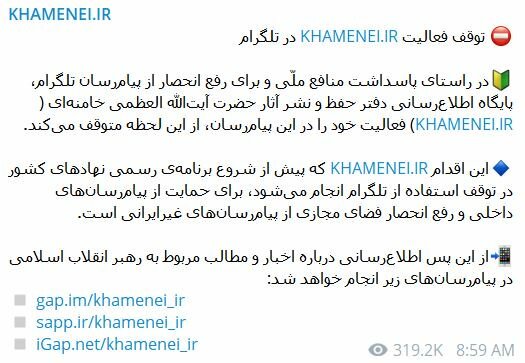 #Iran unblocks the messaging app @Telegram which was blocked temporarily during unrests in the country. Millions of Iranians are using the app. #Instagram was also unblocked much earlier & was blocked for shorter time. 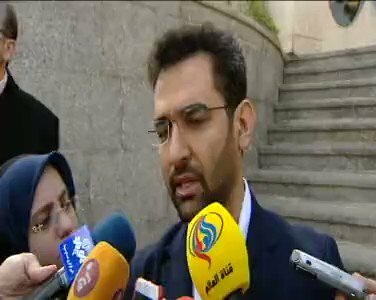 #تلگرام از دقایقی پیش، از دسترس خارج شده است. 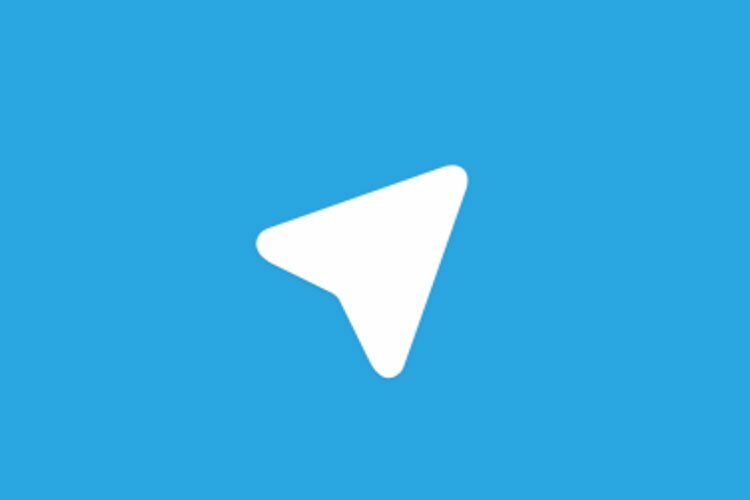 این چندمین بار در ماه‌های اخیر است که #Telegram به صورت جهانی و در کشورهای مختلفی از جمله ایران از دسترس خارج می‌شود. 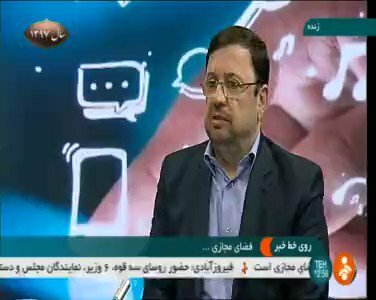 #Iranian MP Boroujerdi: The number of users of messaging app @Telegram in #Iran might be ۴۰ million (about half of whole population of Iran) & ۳ million users for [domestic] app Soroush. 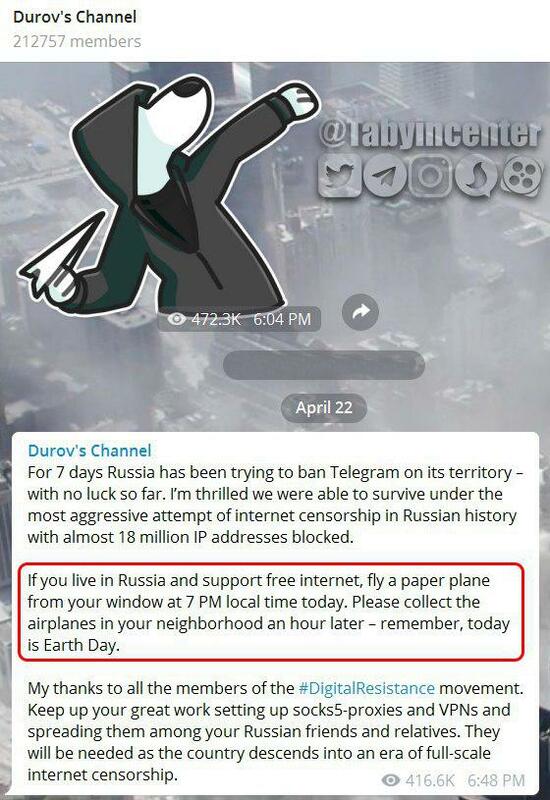 But when #Telegram is blocked, people will turn to the domestic system. 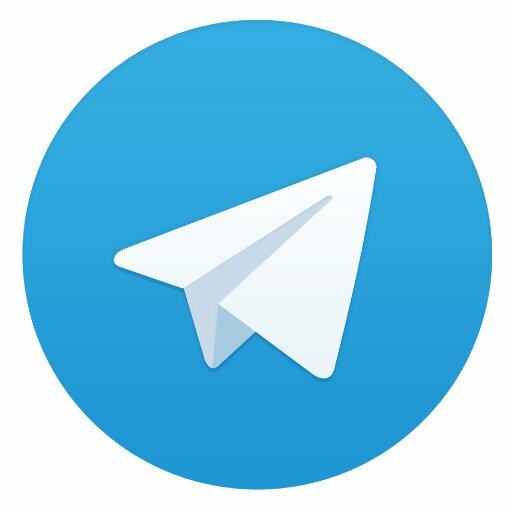 Messaging app @Telegram suspends «amadnews» channel which was mobilizing protests in #Iran. The channel was suspended due to instruction for «use of Molotov cocktails against police».